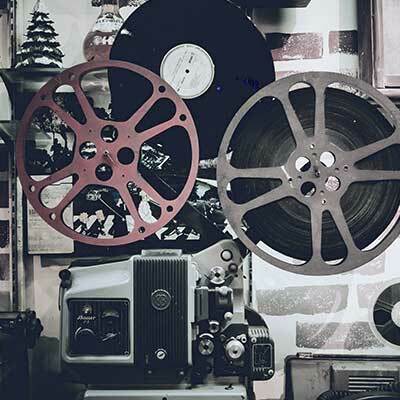 The LAII's Film Guides are lesson plans and activities that accompany a specific movie, each one chosen because it engages in some way with Latin America, the Caribbean or Latinos in the United States. Beginning in 2014, we partnered with the ¡Cine Magnífico! Albuquerque Latino Film Festival to collaborate on developing free, educational film screenings and materials. Although the festival takes place annually in the fall, complementary community programming takes place throughout the entire year. 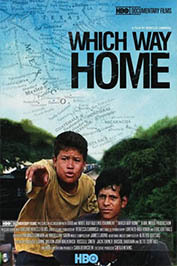 As the United States continues to build a wall between itself and Mexico, Which Way Home shows the personal side of immigration through the eyes of children who face harrowing dangers with enormous courage and resourcefulness as they endeavor to make it to the United States. 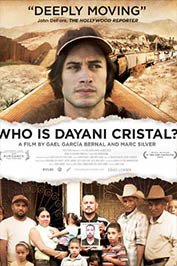 The film follows several unaccompanied child migrants as they journey through Mexico en route to the U.S. on a freight train they call "The Beast." Director Rebecca Cammisa (Sister Helen) tracks the stories of children like Olga and Freddy, nine-year-old Hondurans who are desperately trying to reach their families in Minnesota, and Jose, a ten-year-old El Salvadoran who has been abandoned by smugglers and ends up alone in a Mexican detention center, and focuses on Kevin, a canny, streetwise 14-year-old Honduran, whose mother hopes that he will reach New York City and send money back to his family. 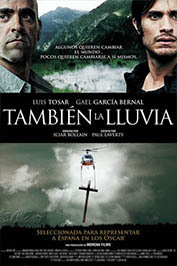 Idealistic filmmaker Sebastián (Gael García Bernal, The Motorcycle Diaries) and his cynical producer Costa (Luis Tosar, The Limits of Control) arrive in Bolivia to make a revisionist film about Christopher Columbus' conquest of the Americas. But as filming commences, the local citizens begin to riot in protest against a multi-national corporation that is taking control of their water supply. With the film shoot in jeopardy, both men find their convictions shaken. Inspired by the real-life Water Wars in Bolivia in the year 2000, Even the Rain explores the lasting effects of Spanish imperialism, still resonating some 500 years later in the continued struggle of indigenous people against oppression and exploitation. 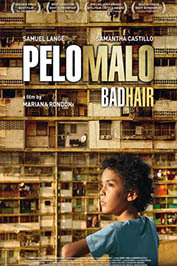 Junior is nine years old and has stubbornly curly hair, or "pelo malo" (bad hair). He wants to have it straightened for his yearbook picture, like a fashionable pop singer with long, ironed hair. This puts him at odds with his mother Marta. The more Junior tries to look beautiful and make his mother love him, the more she rejects him. He will find himself cornered, facing a painful decision.